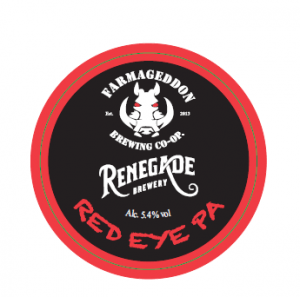 A collaboration with Farmageddon Brewery in Northern Ireland, a fruity, hoppy, Red IPA with bags of flavour and a dry resinous finish. Packed with Columbus, Galaxy and Centennial hops, this hoppy Red IPA begins with big aromas of burnt orange and passion fruit followed by sweet malt flavours and a dry resinous finish. Full-on with bags of flavour. 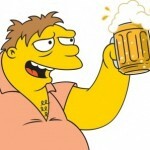 It’s good but a long way from the funky IPAs that are available now. The promised hoppy flavour is a little weak but the malt and citrus side are good. If I was offered this in a pub I wouldn’t be unhappy at all but then I wouldn’t be hopping from foot to foot like an excited child. Come on Renegade, stretch yourselves. Time to brew something outside your comfort zone.